Time to impress your Valentine! They came & visited & Sang Along - May 8, 2018! 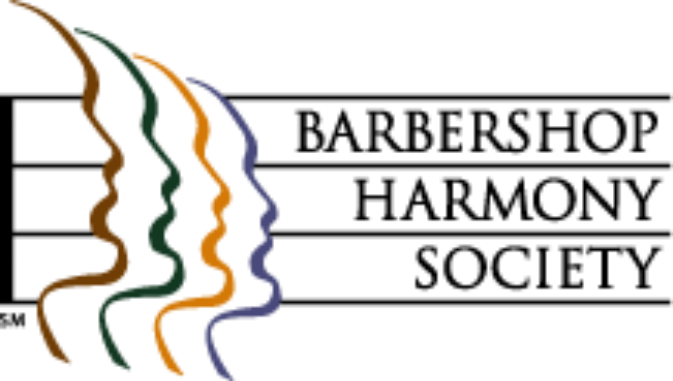 Thank you all for supporting our Barbershop Chorus! 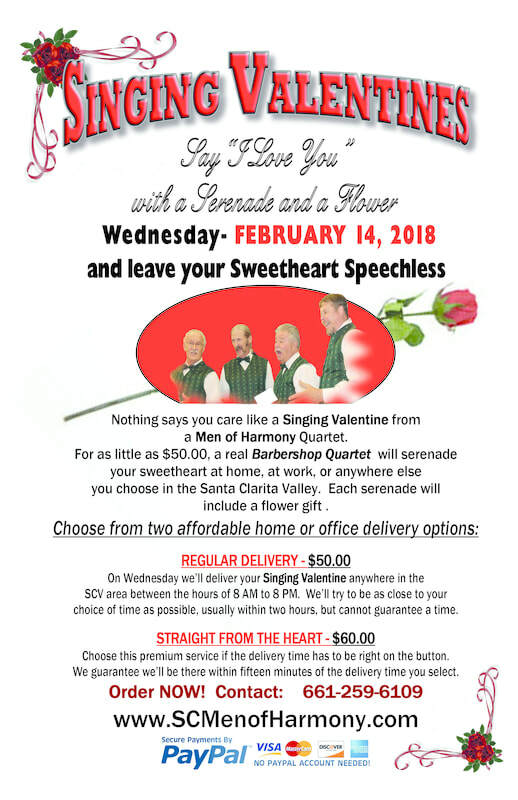 Reservations are now closed for 2018 Singing Valentines. 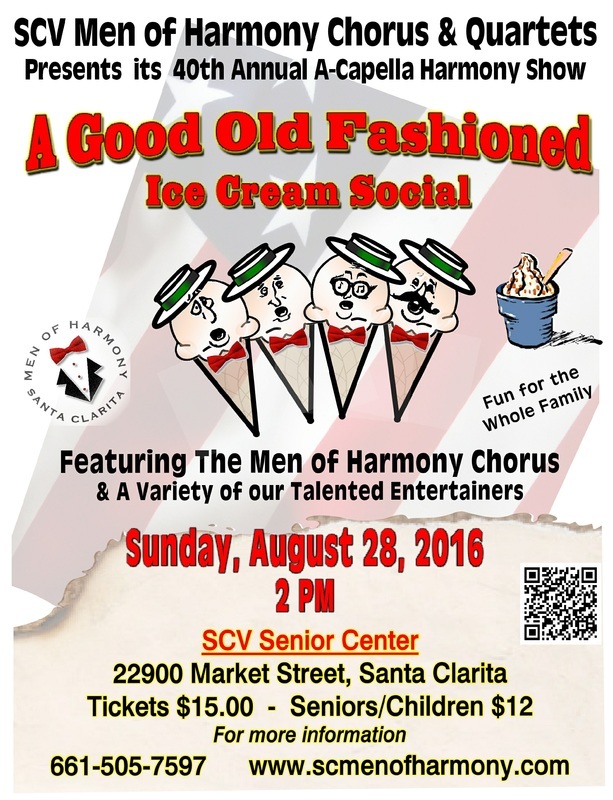 The SCV Men Of Harmony Chorus is a local non-profit, musical, educational and entertaining group of harmonious singers. We are spreading the news that we have opened a Smile.Amazon account and you can help support our programs by just attaching your Amazon account. Amazon will donate a very small amount to us when you do your regular shopping there. You don't pay us, Amazon does! You may share the Smile.Amazon link with friends and family and the Men Of Harmony will benefit. 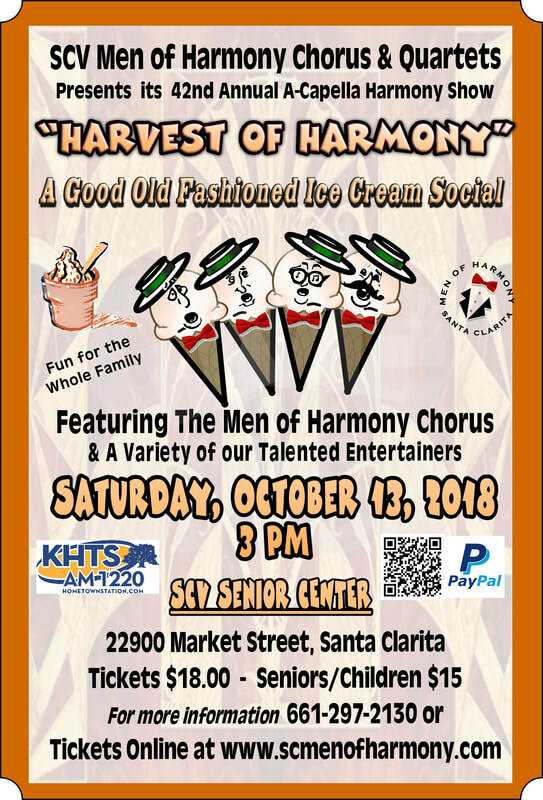 Just click on the link below and you will help support our goal to entertain and harmonize here in Santa Clarita. Thanks for your help. at 7:30 PM. 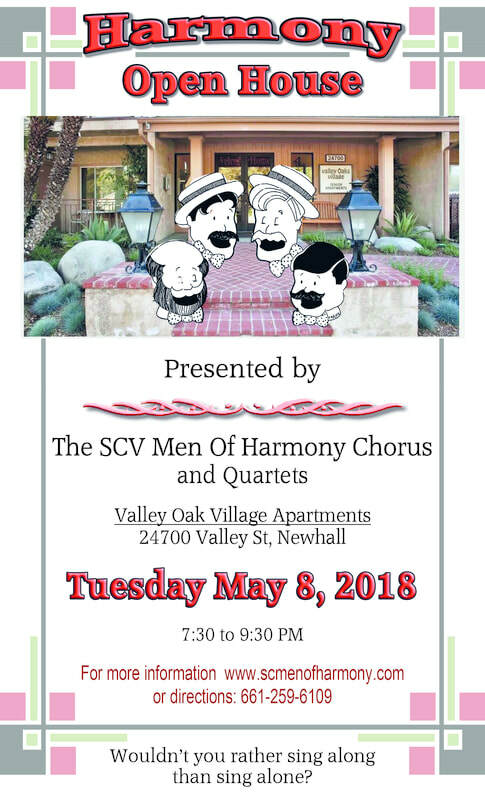 We meet every Tuesday at the Valley Oaks Village Apartments, on Valley Street, in Newhall. We sing for fun and to improve our musical skills every week. Our 18 man Chorus of singers is ready to welcome new singers to make music in the Acapella style. Sing Along, Not Alone! Ice Cream and Harmony Singing... What an Afternoon! 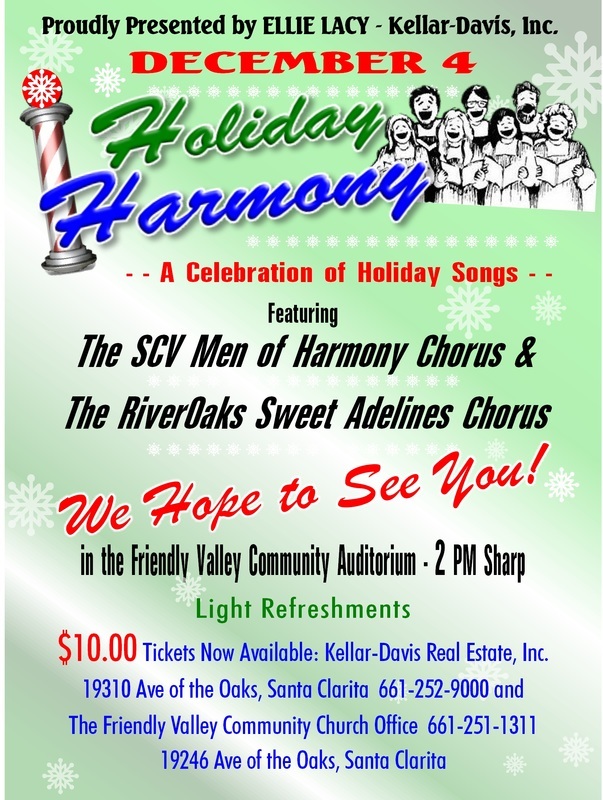 Harmony in the Santa Clarita Valley, CA. 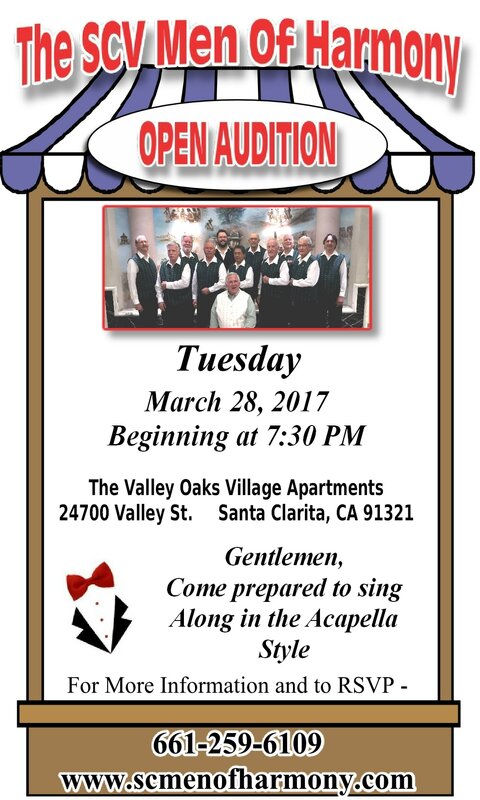 The Santa Clarita Valley Men of Harmony a-cappella chorus is celebrating its 40th year of service with a brand new show package. Couldn't make it to our last show? We'll bring it to you. With the success of TV shows featuring talented singers a-cappella music is once again being heard and admired across the country We love to present the unaccompanied human voice, singing from the heart. 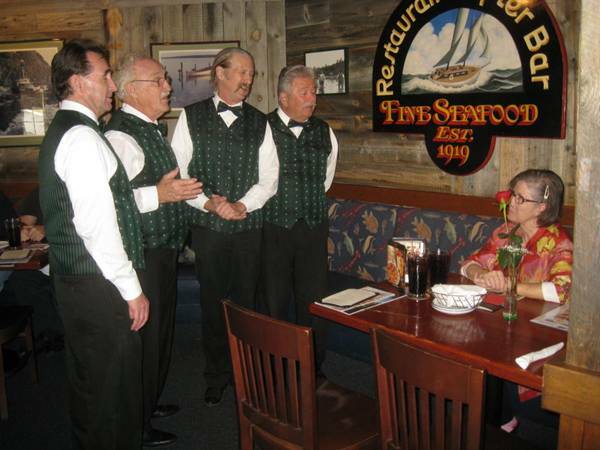 Our focus is on great singing with a variety of musical styles including Barbershop Harmony, Doo-wop, Swing Era jazz, Tin Pan Alley musicals, and classic pop tunes in the mix. This music can take you back to the good old days of our youth and the first time we fell in love. 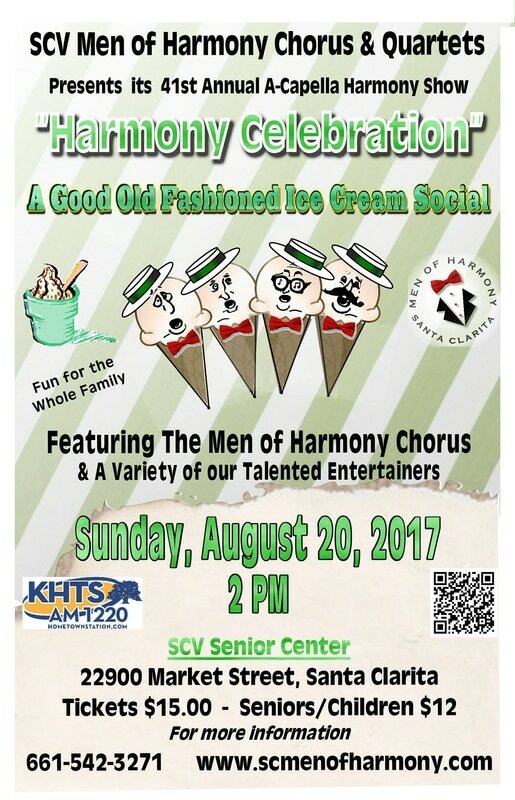 Our Men Of Harmony chorus talent includes quartets, dancers, jugglers, magicians, balloon artists and more. Our new approach to a-cappella music, can be presented in programs ranging from 20 to 90 minutes and can be adapted to specific audiences and occasions. We are eager to entertain your group, club or private party, and are able to offer discounts for qualifying service organizations. The upcoming holiday season is always busy for us, so contact us as soon as possible for more information and to schedule a performance. Can you hear the applause? You will! 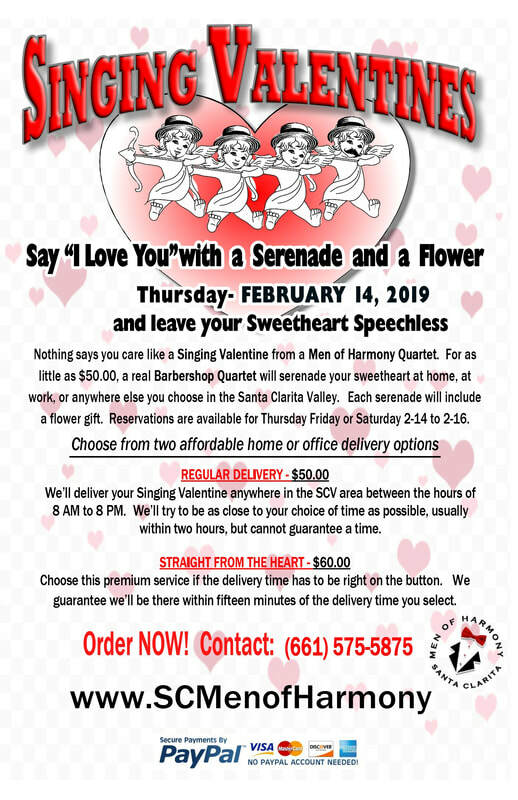 Contact us for a real live quartet delivering Singing Valentines. What a treat for you and your significant other! 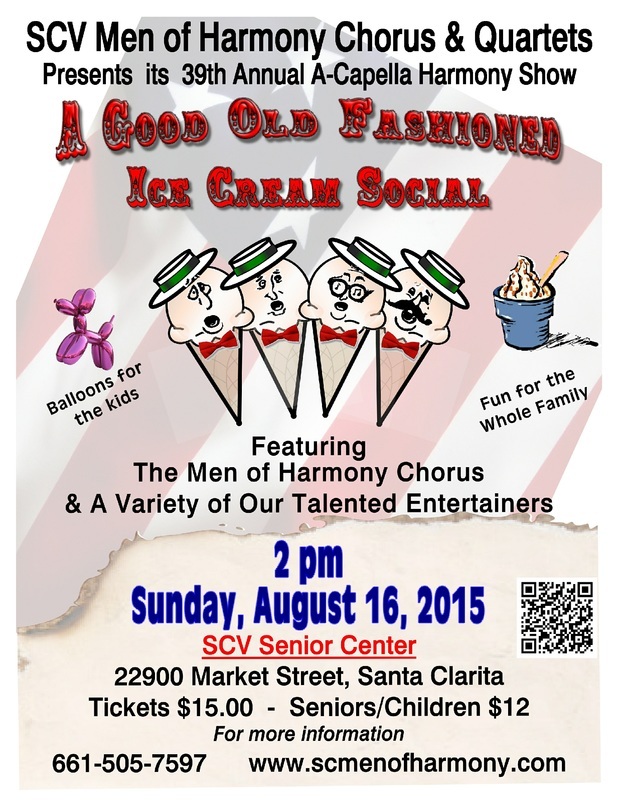 IT WAS SHOWTIME 2015 IN SANTA CLARITA! "A Valentine's Day gift for my most loving wife Belinda. It is also our wedding anniversary. The best Barbershop Quartet available and they were spectacular. They even gave her a card and a rose. Belinda was very surprised."